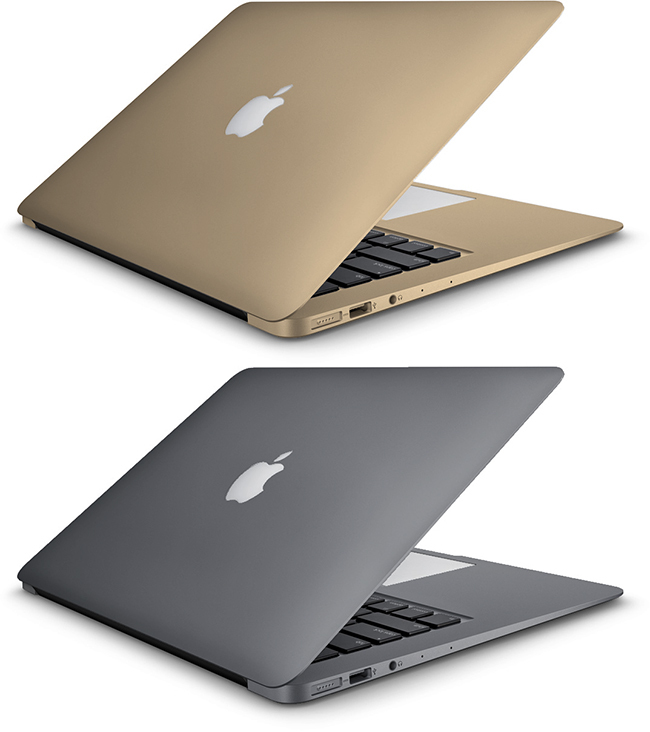 Apple To Introduce A 12-inch Ultra-Portable MacBook In Space Gray, Gold, Silver? It is now rumored that Apple is planning to launch an entirely new ultra-portable 12-inch MacBook next year that will be as slim as current MacBook Air portables with a Retina display, a redesigned buttonless glass trackpad, and a quiet fan-less design powered by Intel's newly developed Broadwell dual-core processors allowing for a cooler operation while also offering a greater increase in battery life and performance over Haswell processors. But what's more exciting than rumored news of a possible 12-inch Retina MacBook Air is one that for the first time would be offered in new aluminum hues including silver, gold and Space Gray to coincide with the current iPhone 6 lineup and any future Apple product release such as the iPad, which is highly likely to be offered in a gold color whenever Apple introduces the next-generation models. Budget iPhone Colors Leaked, 16GB To Retail For $349 Off Contract? Now that we know what Apple's upcoming low-cost iPhone will look like, a new leak of the purported 4-inch polycarbonate-made iPhone shows the device in a variety of colorfully vibrant colors which are said to look fluorescent in person - including red, yellow, lime green, blue and white. It is rumored that all five colors will only be available with a black glass display as opposed to iPhone 5 models. The Taiwanese site AppleDaily which has acquired the leaked images claims that a 16GB model will retail for $349 with no contract compared to the $649 an iPhone 5 costs without a contract. Mac Mini To Be "Made In The USA?" “Designed in California” now might also be, “Designed and assembled in the United States.” Digitimes is reporting that Foxconn Electronics, who have been known to manufacture Apple’s iPhone, iPod, and iPad line of products, is currently in the process of having Mac mini’s manufactured in the United States. According to the report, “Foxconn has about 15 operating bases in the US” and the recruiting for these facilities will begin in 2013. In a recent interview with Brian Williams, Tim Cook noted that, “We’ve been working for years on doing more and more in the United States.” Speculation began soon after the segment that the Mac Pro was going to be the first of Apple’s products being manufactured in the United States due to its relatively low volume of sales. Mac mini shipments are expected to be up more than 40% from last year and could hit upwards of 1.8 million units shipped in 2013. Apple May Refresh iPod Lineup This September? All eyes are set on Apple's iPhone 5 event this September, but the iPhone 5 might not be the only iDevice that Apple will announce. We think that it's likely that Apple will also refresh its entire iPod lineup with larger storage capacities, new form factors as well as a redesigned 5th generation iPod Touch with a 4-inch screen that'll come in multiple vibrant color choices for the first time ever. 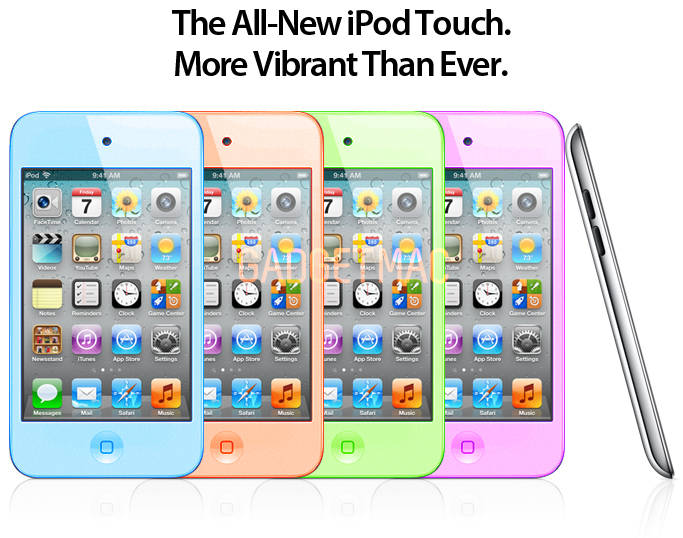 Our mockup above is only a small taste of what we could expect a vibrant colored iPod Touch to look like. 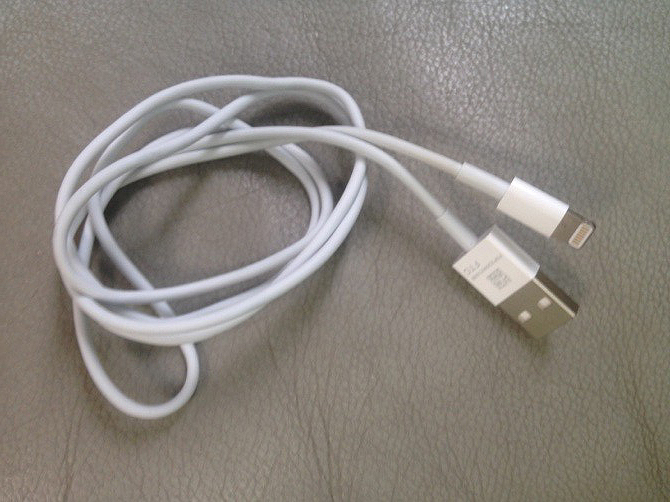 Here it is, the purported redesigned iPhone 5 Dock Connector 2 cable with the smaller 8-pin connector, fully assembled in all of its white cable glory. 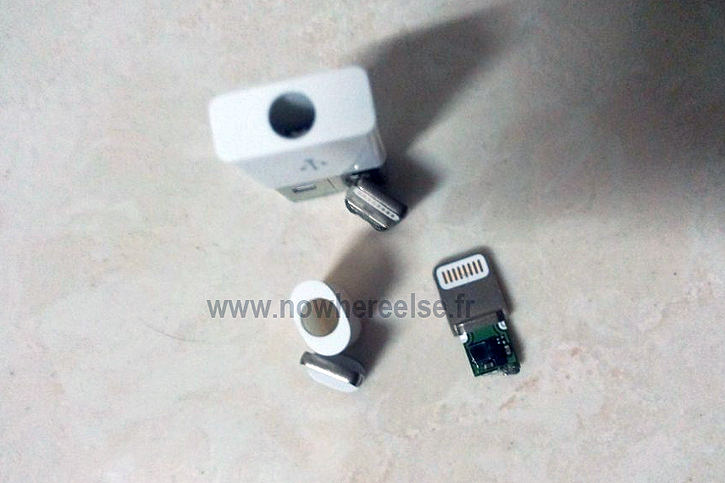 The photo was leaked by a Chinese accessory vendor today via Twitter. 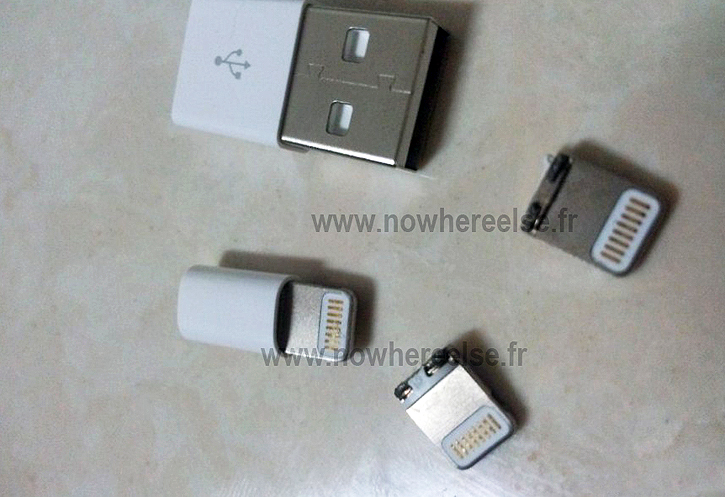 It it rumored that Apple is moving to towards this new connector and will be implementing it in all of its hand-held devices after using the iconic 30-pin connector for years. WWDC 2012 is only a day away, and we're expecting some great new things to come out of Apple. 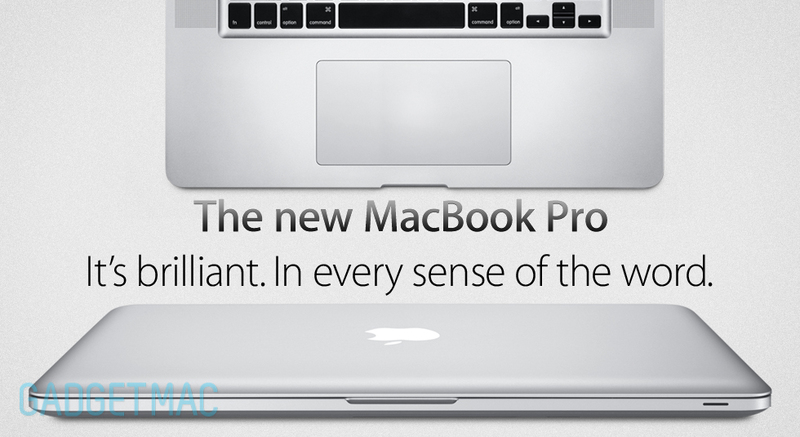 Amongst them is a newly redesigned line of MacBook Pros. Other than the obvious faster, better internal hardware specs including a Retina display, the unibody MacBook Pro is in desperate need of renovation after all of these years with only minor specs bumps. Firstly we think it's most likely that we will see a thinner unibody MacBook Pro tomorrow, but contrary to popular speculations it will not share the same slanted form factor as the MacBook Air, but instead it will be have a shaved body and thinner lid design; possibly even losing the optical drive as a result. A second major change in the purported new redesigned MacBook Pro we think will be a slightly wider glass trackpad making it the largest, most spacious trackpad ever to be put on a laptop. A larger trackpad area will let users spend less time repeating a swipe in order to scroll across the Retina display's massive resolution. Lastly, our wishful thinking includes a black aluminum MacBook Pro option and new accessories like a backlit wireless Bluetooth keyboard with a black key layout. What ever WWDC 2012 holds, we will cover all the juicy news!